PEACE! Live in it, or Rest in it? Location: Strikers Clubhouse 1585 Moreland Ave.
We would luv 2 c u there. Peace and Ride Safe! Welcome to the site...home of the Bikers 4 Obama, Ride for CHANGE...Ride for HOPE project. 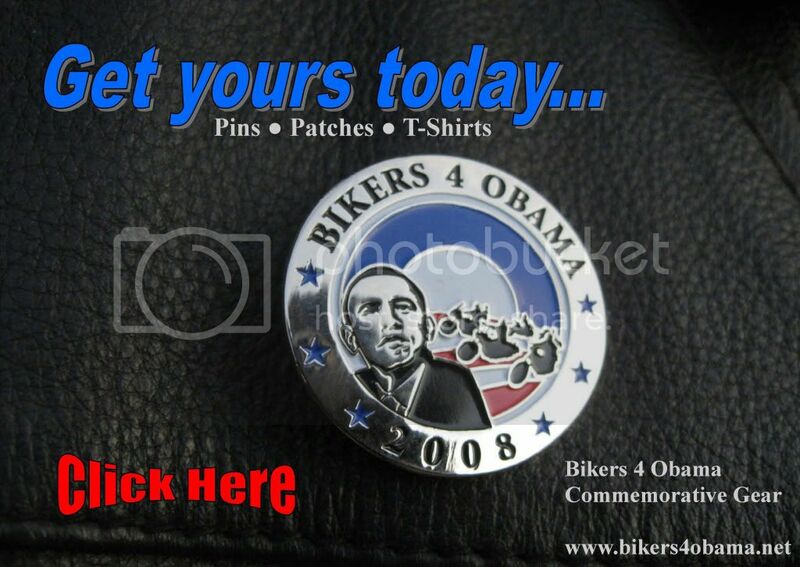 In case you missed out prior to the election, commemorative Bikers 4 Obama pins and patches remain on sale at www.bikers4obama.net. You helped put him in office. Now, with pride, display your commitment to a brighter future for generations to come. Welcome to the WORLDOFSOULMC.com...Welcome home.